Although Mary may have been referring to the idea that every person has a perfect partner out there, somewhere, her words are no less true when applied to the search for the perfect credit card. No matter what your situation, for every key — i.e., credit score — there is likely a lock (credit card) that will be the right fit. In fact, ensuring that your credit score fits into the range for a given card is often half the battle of getting approved. And since the vast majority of card issuers rely on your FICO credit score, it makes sense to let your FICO score be your guide when looking for the right card. 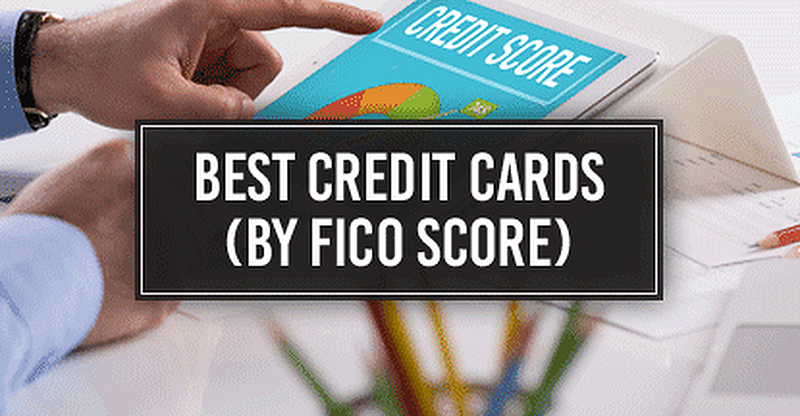 The FICO credit score range spans from 300 to 850, with 850 being the best possible credit score. Under this model, a credit score above 740 is considered to be an “excellent” score, which, under our lock-and-key analogy, effectively gives those with a FICO credit score of 740 or better a master key to nearly every credit card lock on the market. 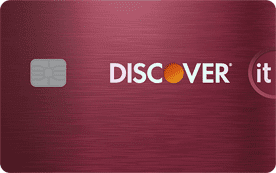 Indeed, with excellent credit, the question is less, “For which card will I qualify?” and much more, “For which card do I want to qualify?” Whether you want awesome rewards, sweet travel perks, or an interest-free year of new purchases, your excellent credit score can unlock a wide range of quality credit cards, including many of our favorites below. While excellent credit is the ideal we should all work toward, having a good credit score — a FICO score between 670 and 739 — will still unlock a respectable number of potential locks. In fact, those with good credit can often qualify for many of the same credit cards as those with excellent credit, though lower credit scores will generally mean lower credit limits in these cases. Credit cards aimed at good-credit consumers include lots of perks and rewards, including cash back and travel rewards options, as well as intro-APR deals that can provide a lot of value for those who tend to carry a balance. Even better, many cards for good credit, such as our top picks below, will come free from any annual fees. Where excellent credit opens nearly every lock, and good credit most of them, when you have a “fair” FICO score, between 580 and 669, you’ll start running into a lot more locks in which your key simply doesn’t fit. And since every credit card application means a hard credit inquiry on your report, it becomes increasingly important when you have fair credit to choose the right card before you apply. If you’re unsure of your chances of approval, you can try finding pre-qualification offers before you apply for a card. While not a guarantee of approval, pre-qualification can give you a short list of the locks most likely to fit your credit-score key. 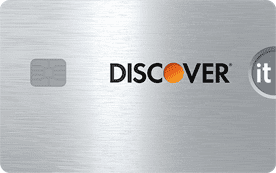 Our expert-rated fair-credit cards below are a good place to start your search. Once your FICO credit score has fallen below the 580 mark, your credit is considered to be “poor.” At this point, you’ll have to be very particular about which locks you try to unlock, as the majority of prime credit cards will be a very poor fit due to your perceived credit risk. With a poor credit score, the only credit cards your credit-score key will be likely to unlock are secured credit cards — which require an up-front deposit — or unsecured credit cards from subprime card issuers, which often carry high rates and fees. On the bright side, as you use your new poor-credit card, like the ones below, to build credit, your key will start to open many more locks. If your credit score is the key to unlock the credit card of your dreams, then having an unestablished or limited credit report can often feel like not having a key at all. Thankfully, there are a few credit cards on the market that are specifically designed for keyless entry, so to speak, providing credit novices a way to establish and build their credit scores. Although neither is ideal, having no credit is often better than having poor credit, and the potential card options are frequently evidence of that fact. 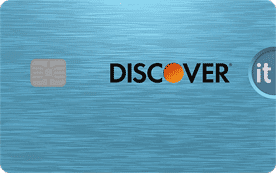 With no or limited credit, you can still typically qualify for a range of quality credit cards, such as our best offers below, that include low or no annual fees, as well as options for cash back purchase rewards. Before the age of mass-production, each lock-and-key set was made by hand by skilled artisans, giving strong credence to the saying, “there’s a lock for every key.” Even today, however, when locks and keys are produced by the thousands, most keys can still find their matching lock. With dozens upon dozens of credit card options available in the marketplace today, nearly any consumer can find the right card, regardless of his or her particular credit score. Of course, you may have to try a few locks before you find the right fit for your credit-score key. Research your options and check for pre-qualification when possible before applying to minimize your chances of selecting the wrong lock. And once you’ve unlocked a card, be sure to use it wisely to keep your credit score on the right path. If you have your sights set on that excellent-credit master key — or simply want to turn your poor credit score into a good one to broaden your range of potential locks — you’ll need to keep everything rust-free (metaphorically speaking). Responsible card use includes making all of your payment on time, maintaining low balances across your cards, and being conservative about opening new credit lines. Like the large number of cards on the market, however, there’s an abundance of mobile apps and other tools designed to help consumers maintain their personal finances, so be sure to make use of the right tools to keep your credit-score key in peak condition.